The Filtrete™ Odor Reduction air filter is the most effective filter at removing odors from the home. 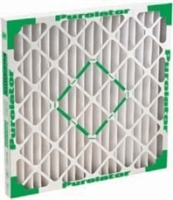 Using activated carbon, this filter removes odors such as: pet, smoke, cooking, mildew, and cleaning chemicals. It carries a Microparticle Performance Rating of 1200 and is electrostatically charged. Lasts up to 3 months removing odors and particles from the air. Cleaner air can be yours even with common household odor culprits living under the same roof. Filtrete™ Allergen Reduction + Odor Air Filters feature a unique active carbon layer to help minimize strong odors while trapping dust and allergens. Go ahead and let life happen: The freshness of your indoor air is in good hands.